The problem: identifying or remembering a favorite wine at a restaurant, dinner party, wine tasting tour or event. DRYNC is a mobile application that enables it customers to identify and purchase the wine they are drinking by scanning a wine label using the phone’s camera or searching a location or event to browse its wine list. The app currently identifies more than 1.7 million varieties of wine and offers approximately 30,000 wines that can be shipped to customers in 41 states. So far, DRYNC has raised $900,000 from angel investors including Mark Hastings, Andrew Moss, and Jack Remondi. Founder Brad Rosen has built and sold companies to Phillips, Motorola, and Cisco, among others and co-founder Bill Kirtley previously worked at Apple on the Safari and Calendar products. Below is a snapshot of the wine my friends and I had at our picnic this Saturday! 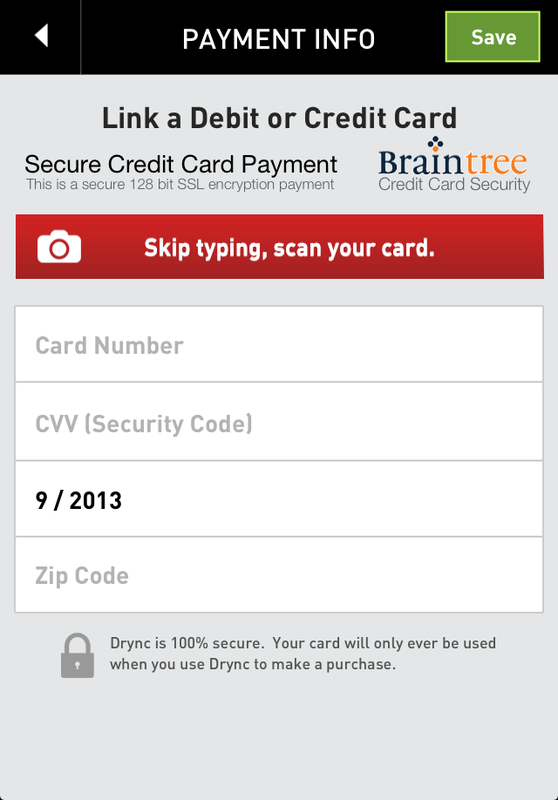 DRYNC utilizes card.io to simplify the payment process. Customers are able to input their credit card information by taking a snapshot of their credit card using their phone’s camera. 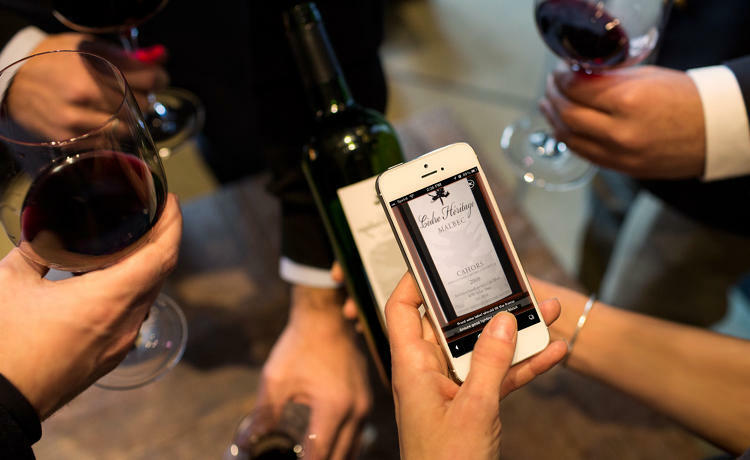 Similar to DRYNC, Vivino allows its users to snap photos of wine labels using its mobile app on their smartphones and the images are then matched against a database of 1.3 million wines to return the respective wine’s producer, brand, name, varietals and vintage. At the end of March this year, Vivino exceeded 1 million downloads and in June reported that 15 million images of wine labels have been scanned. 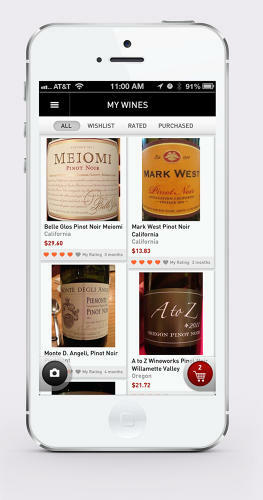 Vivino experiences rapid growth with approximately 2 million scans of wine labels each month. Additionally, Vivino recently received $10.3 million in Series A funding led by Balderton Capital, bringing its total capital raised to $12.4 million. Although Vivino is argued to be the most downloaded wine app in the world and has been successful with building a platform to allow users to explore, identify, save and share wines, it does not allow users to purchase the wines they’ve liked and saved as DRYNC does. Other mobile wine apps, such as Cor.kz, Snooth (only offers image-based search in its Pro version that costs $4.99), Hello Vino, Wine Notes and Swirl It, also do not offer the free one-stop shop experience – these wine apps are more focused on the social experience. There are also wine apps that allow customers to purchase wines but lack the social experience for its users such as wine.com. Although Vivino may pose a major threat to DRYNC with its potential to add the option of purchasing wines through its site, DRYNC enjoys the advantage of pioneering the mobile wine ecommerce space and is quickly capturing market share. 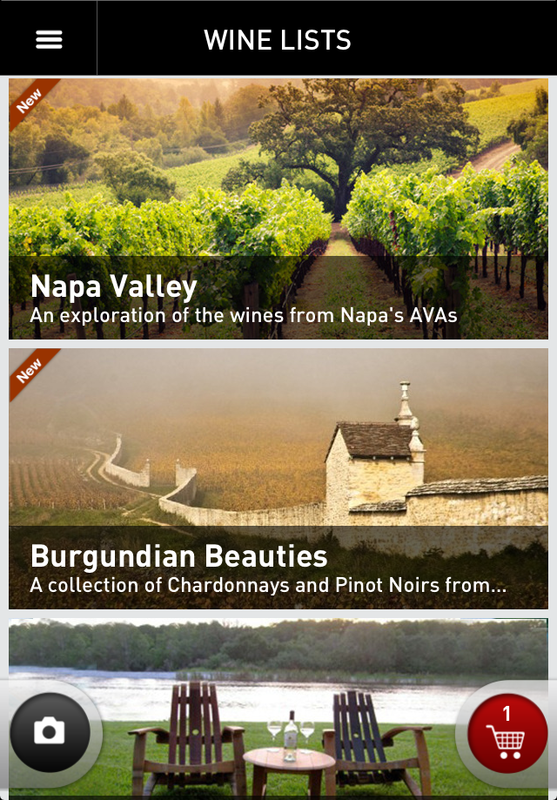 Wines purchased on DRYNC are fulfilled by existing distributors and retailers. The app utilizes GPS to match the location of the customer with one of its wine suppliers, and if the wine is not available, the app recommends and offers to ship the user a similar one. 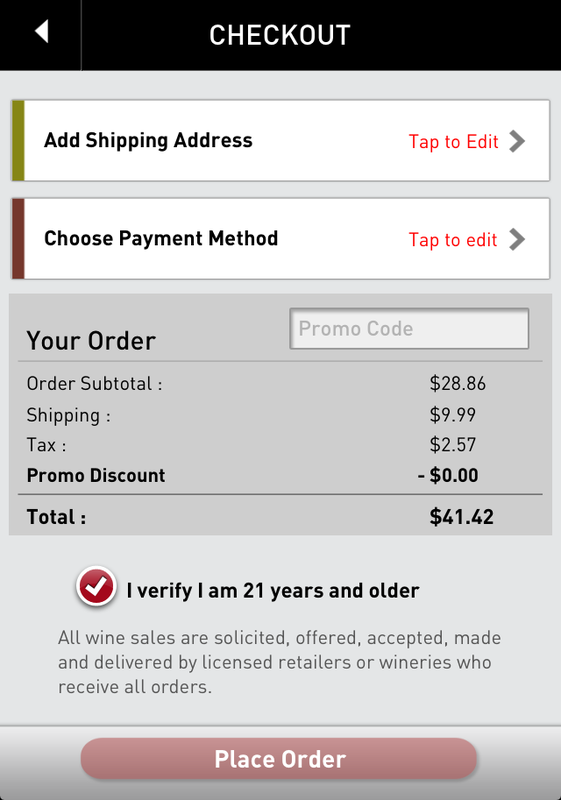 DRYNC takes only a marketing fee from each order (wineries are not charged to be listed on the app). The company is not yet profitable but has seen revenues grow 40 percent each month. DRYNC also offers curated wine lists (e.g. Spectator Daily Wine Picks, Coming up Roses, Crisp Light Wines, etc.) that help users discover new wines. The wine lists create a more personal experience for the user by sharing wine recommendations from professional wine experts and allowing users to discover new wines based on their preferences or certain themes (e.g. the wedding season list suggest wines appropriate for wedding occasions). 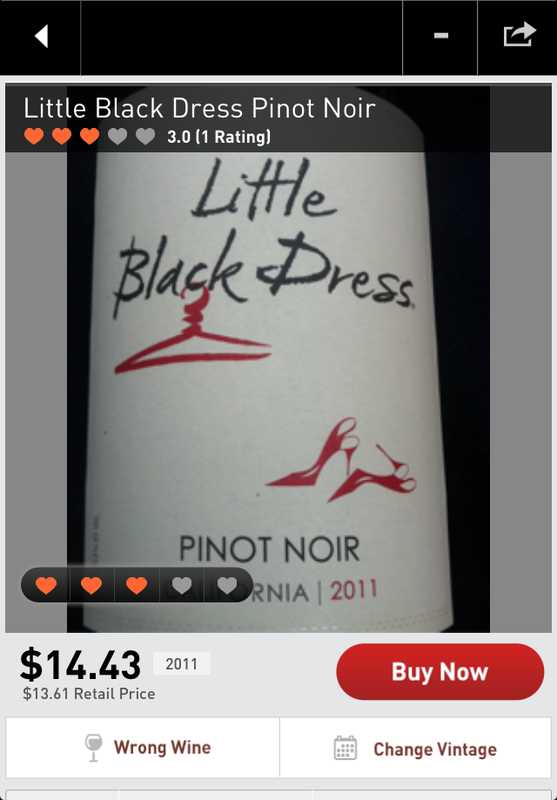 DRYNC plans to eventually provide wine recommendations to its users based on a user’s price and taste preferences. I think DRYNC could also enhance the wine discovery process for its members by providing recommendations based on the member’s previously liked wines (utilization of Big Data as discussed in my Beauty Army article!) and allowing its users to create their own wine lists and share them with their friends (similar to creating a playlist in Spotify and sharing it with friends who can follow your different playlists). I believe DRYNC has successfully introduced technology to a customer’s wine discovery and shopping experience. In 2012, wine sales in the U.S. increased from the previous year to a new record of 360.1 million 9-liter cases with an estimated retail value of $34.6 billion. The U.S. wine industry accounts for almost 8 percent of global wine production and has become the leading wine consuming region in the world. According to wine industry consultant Jon Fredrikson of Gomberg, Fredrikson & AssociatesAmong, the key growth drivers are favorable demographics, a widening consumer base and increasing points of distribution in both on- and off-sale outlets. Recent demand has been driven by younger consumers’ interest in lower-priced wines. Technology has also helped attract new customers and introduced a new way to sell and distribute wine, contributing to the growth of the market. About 160,000 new wines flood the market each year from 38,000 wineries worldwide. The world wine market is highly fragmented with the three leading winemakers holding a little over 8 percent of the total market share in terms of volume combined. The global wine industry is expected to generate almost $292 billion in 2014. 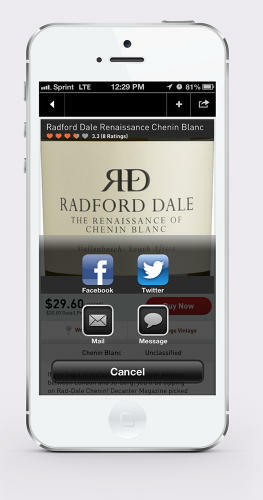 Share with me your thoughts on DRYNC or the future of mobile wine ecommerce @tiffanydstone or comment below!